Sometimes it is fun to stay the night over in your own city. Especially when the hotel or apartment looks super fancy. Fancy in a cool, not sophisticated way. 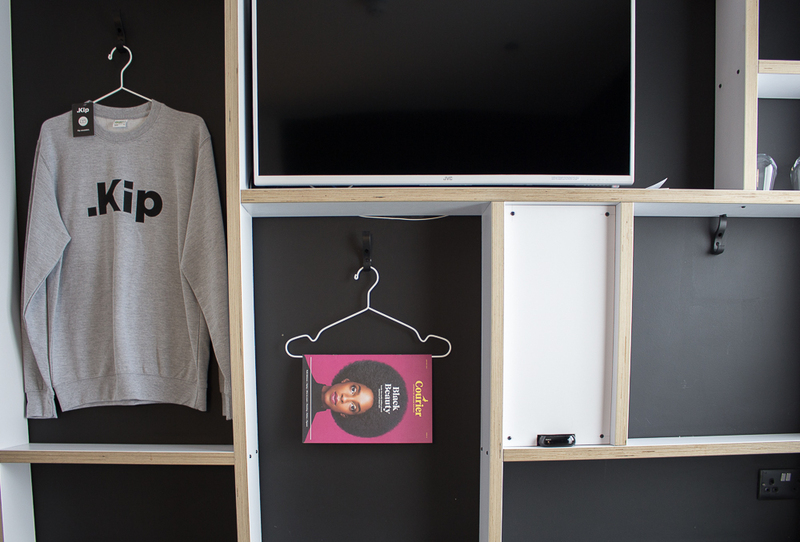 I couldn’t wait to spend our day in KIP London – the black&white heaven of Hackney Central. Hackney’s ‘coolnes’ emerged not so long ago, but thanks to all the people who live there and create the whole mood about it ( a lot of freelancers, bloggers, artists, designers), the area remains one of the top locations on the bucket lists of the majority of famous travelers. There is no deny this place depicts the whole ‘ideal’ Hackney in the best possible way. 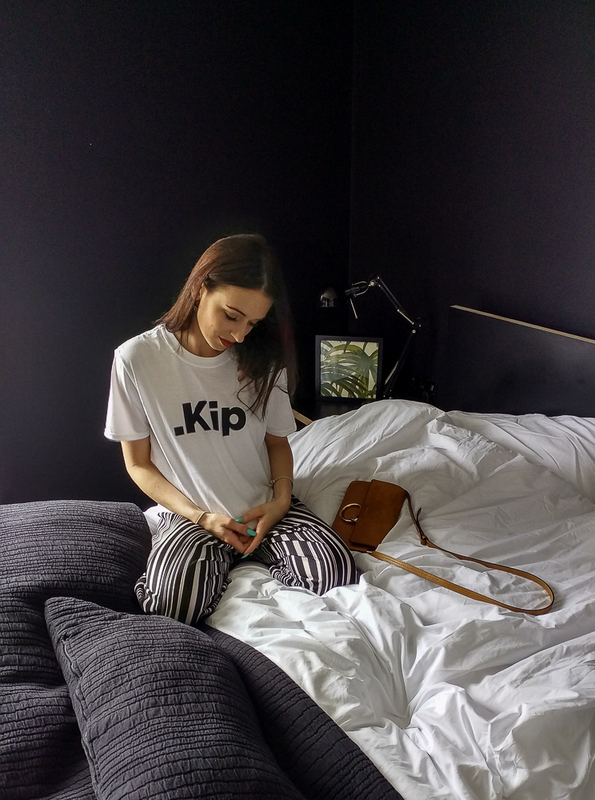 I have fallen for KIP’s interior – DIY-manner black&white furniture, bed linen, bathroom cosmetics and, what would life be without them, KIP accessories. There is something about this place that makes me wanna come back! What else makes this place so special? #1 Definitely the atmosphere! They have the most friendly and helpful staff! They serve a really good coffee, tea and water – available 24h! Unfortunately there is no breakfast, but Costa Coffee is placed in the same building. #2 LOCATION! 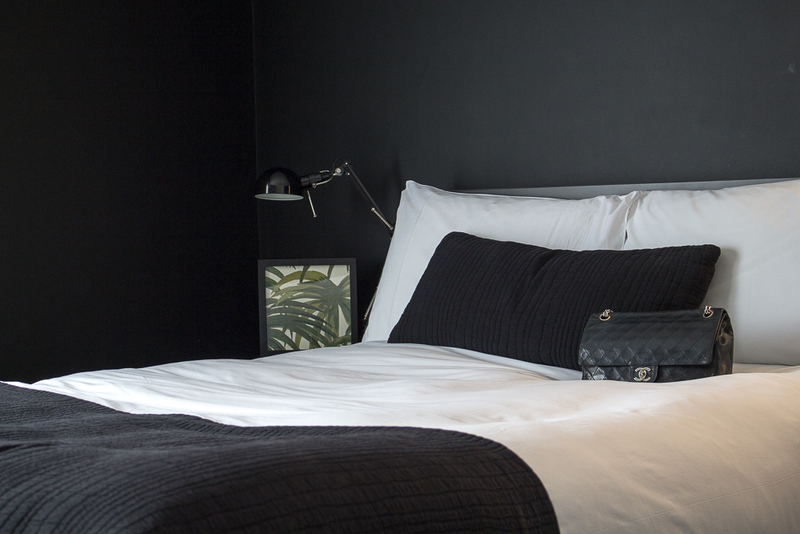 The most important factor when looking for a place to stay in London. Hackney Central Overground Station literally just outside the building (not to worry – there is no noise thanks to the soundproof windows). You would need around 20/25 minutes to get to central London. #4 Vintage shops of Hackney could actually be a good reason to stay there, if you are one of those vintage hunters. Good connections to Brick Lane Market sorted! #5 The way from Stansted airport won’t take you long – there are several buses to Stratford, from where it would take you around 10 minutes on the Overground. Super convenient! I also decided to update you with my favorite picks of the month from notino.de . I love shopping at notino because of the prices (even up to 30% off), and the wide range of beauty products – from Saint Laurent Beauty, Benefit Cosmetics, Dior, Lancôme to the most affordable beauty labels, such as Rimmel. Apart from make-up they also offer perfumes, body balms, cremes, hygiene products and the whole loads of make-up brushes. The delivery takes 1/2 days, which is super convenient. Saint Laurent Rogue Pur Couture The Mats, 204 – I can’t stop looking at it! 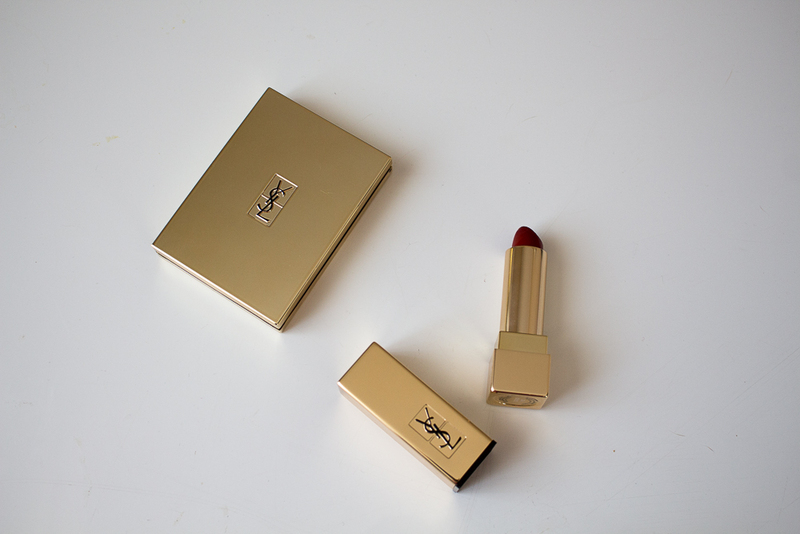 I keep wearing this particular shade every day, I absolutely love it, and it lasts for a long time. 4. ECOntour foundation brush, my recent favorite make-up helper. I can’t force myself to use anything else! Super handy to use, and yet so delicate! 5. Benefit Ready, Set, Brow Shaping Gel, my recent discovery and, the way I see it, a must-have for the summer. It doesn’t require a second application once applied in the morning. I love Benefit and I love notino.de ! I love these pants! Glad to hear you enjoyed your stay at KIP, I’ve heard lots of great reviews on the hotel. I’ll have to check it out sometime. I love these beauty products and this hotel is so beautiful! It looks like an amazing place! I also love how you coordinated with a black and white outfit! So cute! Perfect pictures dear ♥ are you coming to fashion week to berlin? Wow this look is simply perfect, reminds me of an fashion-Editorial. I am so in love with your handbag. que fotos mas chulas, me encanta la decoracion! The hotel has great interior. Thank you for your suggestion! And love your make-up list. I found some helpful to me. Looks like an awesome hotel, hope you enjoyed it babe! I’am a big fan of Benefit products! Wow! Really? A hotel? Love it! A nice room interior and color combination. I’m sure you had a hard time leaving the hotel room. Super nice! This hotel looks beautiful through your pictures! If ever i’m in London, I will definitely stay there! Cool post! This place looks very cozy! Staycations are always super fun! I love the sleek decor. I have to go next time I’m in London! This is such a great idea. The hotel tip looks super cool. I took a note for my next London trip. Great post dear, love the way you show all details you like in that room. Loving the pants here …. Staycations are the best. All the fun of traveling with ten times less hassle. And you get to be a tourist in your own city! I’ve been wanting to try that Benefit Brow Gel. Looks like a great find! Wow, what a great looking place! Beautiful pictures too!! Oh, I see it is great to stay there! Loving the photography and all your picks! You should defo explore the area! Great post hun! I love your trousers… perfect for summers! I loooove all of these photos! And omg yes, you reminded me how amazing brick lane is! 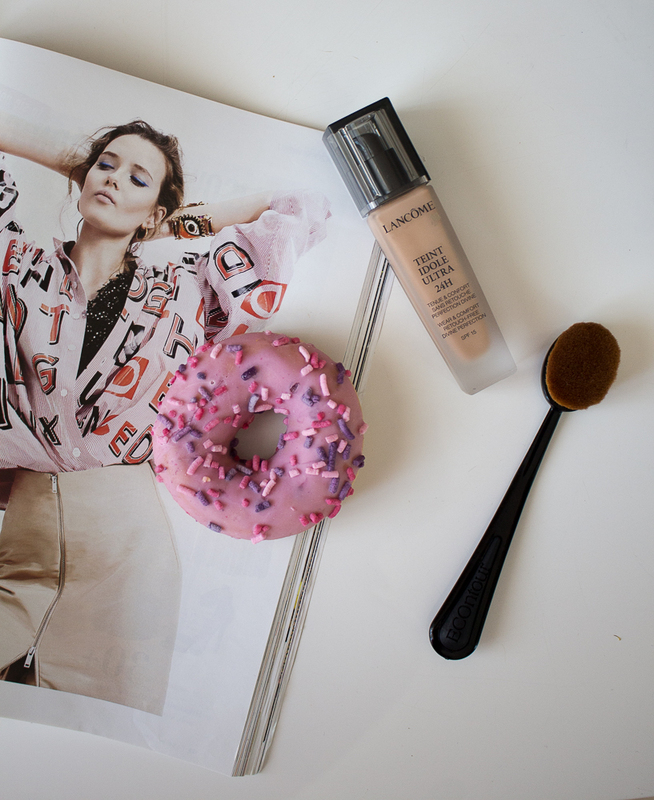 No wonder it’s a blogger favorite! Great post! I love your style of photography!